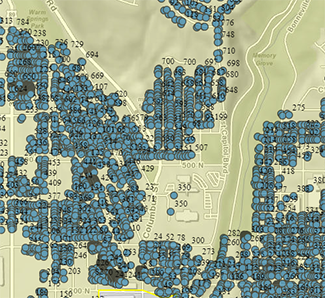 This map helps homeowners and contractors determine whether or not a house was built prior to 1978. Click on the map to load. Lead-Based Paint (LBP) was banned for use in houses in 1978, however, in houses built before 1978, there is a possibility that LBP is still present. Dust from LBP is the leading cause of lead poisoning in children which is a serious and preventable environmental health problem for both children and adults. In children, elevated lead exposure can cause decreased IQ, damage to the nervous system, and a range of other developmental and behavioral problems. There are rules and regulations in place to help reduce lead exposure from LBP. The rules and regulations can generally be separated into 2 categories, 1) LBP activities (inspections, risk assessments, lead hazard screens, and abatement activities) and LBP renovation, repair, and painting (RRP). The Utah LBP Program establishes and enforces work practice procedures for LBP activities and RRP performed by paid contractors in the State of Utah. The program oversees the certification of individuals and firms performing either LBP or RRP work activities, and establishes the procedures and requirements for the accreditation of LBP training providers that train the individuals performing LBP work. Dust generated during renovations of houses that contain LBP is extremely harmful. All paid contractors performing regulated renovation, repair, or painting activities in pre-1978 housing, or child-occupied facilities (daycares, preschools, elementary schools, etc. ), where the work activities are disturbing more than 6 square feet on the interior, 20 square feet on the exterior, a window replacement of any size, or, demolition activities of any amount must be certified in Utah to do this work. Certification involves taking an 8 hour accredited LBP renovator course, and submitting an individual certification application with the appropriate fee to the Utah Division of Air Quality (DAQ). Companies performing regulated LBP work activities will also need to submit a firm certification application with the appropriate fee to the Utah DAQ. Use and customize this generic non-certified worker training (“tailgate training”) form to document project training by a certified renovator. EPA published this guide for LBP renovators which includes a documentation form. A sample checklist for regulated LBP RRP activities. Lead safety for LBP renovation, repair, and painting rule. Helps contractors comply with the renovation recordkeeping requirements that took effect in Utah on April 7, 2010.
to protect yourself and your clients if you are working in older housing that could contain lead paint. Pamphlet Created by the EPA. Inspectors and Risk Assessors use specialized equipment to determine if there is LBP in and around a house. 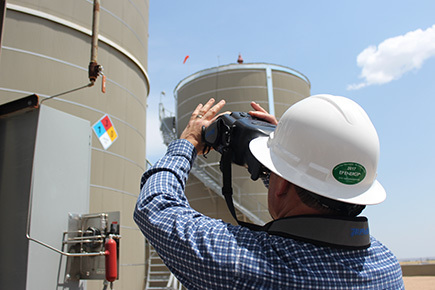 Abatement Supervisors and Workers are trained to eliminate LBP hazards. Submit notification and certification forms online. Proof of citizenship or legal residency status (i.e., drivers license, passport) must be attached. This form must be included with all initial certification applications for U.S. citizens (one time only). It must be included with all applications (including recertification) for all non-U.S. citizens with every certification application. Proof of resident alien status must be attached. Lead-hazard information for renovation, repair, and painting rule activities. Pamphlet Created by the EPA. Informs building managers responsible for renovation jobs in apartments, hospitals, schools, day-care centers, extended-stay hotel suites, etc., of the importance of becoming lead-safe certified. Also contains information for Child-Care Providers. Pamphlet Created by the EPA. Guide for contractors and homeowners on how to plan for and complete a home renovation, repair or painting project in pre-1978 housing and child-occupied facilities using lead-safe work practices. Pamphlet Created by the EPA. The EPA’s lead-based paint renovation, repair, and painting program. A handbook for contractors, property managers, and maintenance personnel working in homes and child-occupied facilities built before 1978. Pamphlet Created by the EPA. This pamphlet must be provided to prospective buyers/renters of pre-1978 residences and to the occupants of pre-1978 residences where renovations will take place. Pamphlet Created by the EPA. A comprehensive resource for parents on many lead-related topics. Pamphlet Created by the EPA. Discusses proper nutrition and lead poisoning prevention, and features fast, nutritious recipes. Pamphlet Created by the EPA. General lead information and safe practices for parents and an 11″x17″ fold-out poster. Developed for Head Start parents on lead poisoning prevention. Pamphlet Created by the EPA. Provides funds to local government agencies to develop cost-effective ways to reduce lead-based paint hazards. Make sure that lead safety is a part of your renovation.